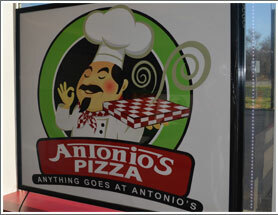 Antonio’s is looking for people who are friendly, outgoing, and interested in opportunities to advance within our company. Please consider the following openings and submit an application. We are now looking for driven, hard-working, responsible individuals to join our team in a management capacity. Creative, self-motivated go-getters with a smiling face and a positive attitude are what we're looking for. A customer service background is a plus! CALL THE LOCATION NEAREST YOU FOR CARRY-OUT OR DELIVERY!